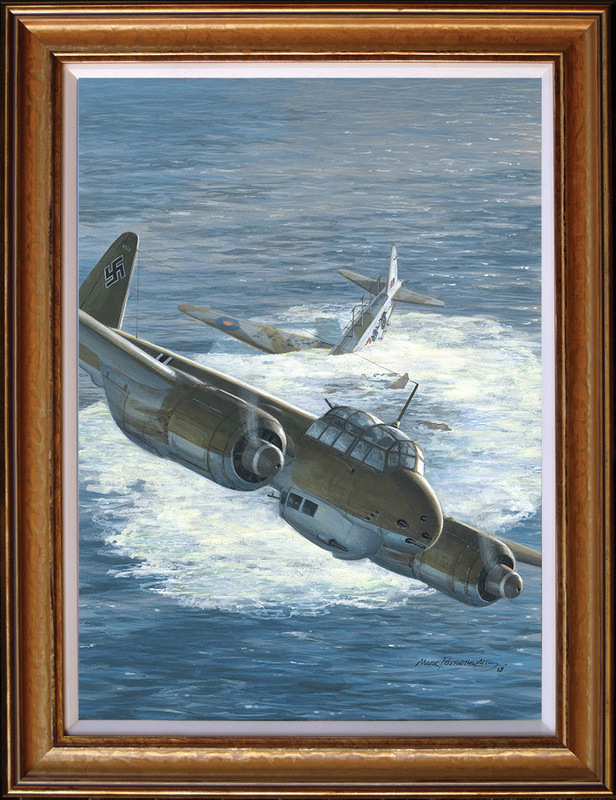 On 13 August 1943, Oberleutnant Dieter Meister of 13./KG 40, flying a Ju 88R-2, coded ‘N’, shot down a Wellington of 304 Sqn over Bay of Biscay. Wellington HZ638, coded 2P, had taken off from its base at Davidstow Moor in Cornwall at 09.36 hrs. Its crew of F/Lt S.Widanka, P/O S.Kielan, Sgt W.Pastwa, Sgt L.Dangel, Sgt F.Gorka and Sgt K.Czarnecki were all posted missing. Frame is for illustrative purposes only, the painting will be sent unframed for ease of postage.